If the checkboxes "Major Grid Lines" and "Minor Grid Lines" are NOT checked in Preferences (Styles -> Tick Marks and Grid Lines) the graph looks ok. 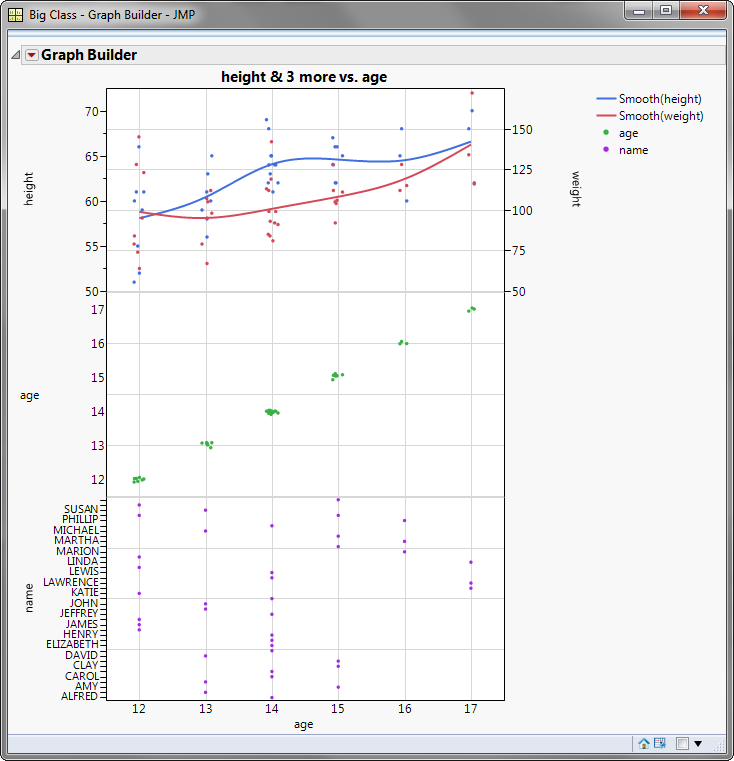 But if they are checked you will get the grid lines from "weight" for the parameters "age" and "name". These grid lines disappear when you move "weight" to the left. Very strange. Can anybody explain what is happening here or is it just a bug?